AMD’s latest Polaris-based gaming graphics card has arrived. It hits us in the form of the Radeon RX 590, a die-shrunk version of the RX 580 that enjoys a monstrous clock boost. 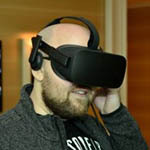 While there isn’t a lot to be surprised about with this release, AMD proves that it hasn’t eased its aggressiveness, having augmented the launch with a killer game bundle. For its gain in performance, the RX 590 uses about 30W more than the RX 580. That’s a bit of a jump, but it’s not an unexpected one given the huge clock boost. That 30W increase is still less than the 40W jump AMD itself reports (185W vs. 225W), so in that regard, we seem to be coming ahead. 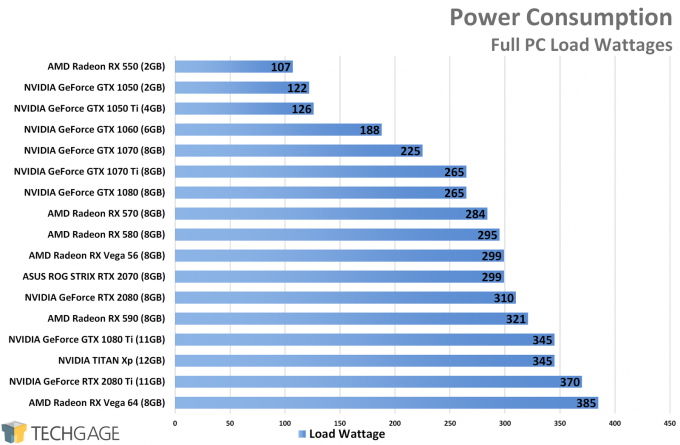 Not that power consumption is a major issue, but it is almost painful to see the faster GTX 1070 use 96W less. There isn’t too much I can say here that isn’t obvious. The RX 590 is faster than an RX 580 as its huge ~200MHz clock boost would suggest. What your purchase will likely ultimately boil down to is how much you want to spend, and what kind of performance you’re after. With a price tag of $279, I’d say the RX 590 is priced right, but there are some things to bear in mind. While the RX 590 currently retails for $279, the RX 580 is currently on sale for $199 at both Newegg and Amazon. The timing of this sale is actually crazy to me. How would I recommend a $279 GPU that gives a 3~7 FPS boost over an RX 580 that currently costs $199? A $20 premium is worth it, but not an $80 one. It gets better, because the RX 570 and RX 580 qualify for the game bundle that launches alongside the RX 590. That means that you can pick up an RX 580 right now for $200 and enjoy two of the three games in the bundle. It’s a weird way to look at free games, but if you were to buy those games anyway, that’d make the card cost $80 (based on $60 per title). Two games and RX 580 for $199 sounds more tempting to me right now than three games and RX 590 for $279. But that’s just me. This $199 pricing is dubbed a sale over at Newegg, so it’s not going to last. Maybe there was no good time to put that card on sale, but really – for $199, the RX 580 is a steal. Especially with two free games. That said, you’ll want to of course verify that your card purchase will qualify for this bundle. You can read full details of it right here. 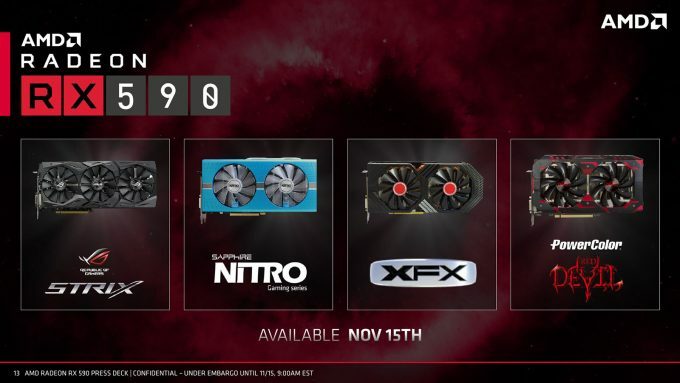 RX 590 owners will get Resident Evil 2, Devil May Cry 5, and Tom Clancy’s The Division 2 – while RX 570 and RX 580 purchasers can choose two. Honestly, this is one of the best game bundles I’ve seen, so I give AMD props for putting it together. If there’s a downside, it’s that all three games won’t launch until early 2019.
tl;dr: Pricing is everything. Scout out what gives you the best ROI, or simply jump for the big gun of the Polaris world and get on with life. When all is said and done, I rate the RX 590 pretty much the same as the RX 580 in our expectations chart. It does offer a noticeable boost, but not enough to justify any changes here. I debated on adding a star for 1440p, but at that point, it’d match the GTX 1070, when the reality is different. ★★★★★ 60 FPS? More like 100 FPS. As future-proofed as it can get. ★★★★ Surpass 60 FPS at high quality settings with ease. ★★★ Hit 60 FPS with high quality settings. ★★ Nothing too impressive; it gets the job done (60 FPS will require tweaking). If you have questions not covered here, please shoot them at me. Overall, this is a good release from AMD, as much as it is an odd one in a way. 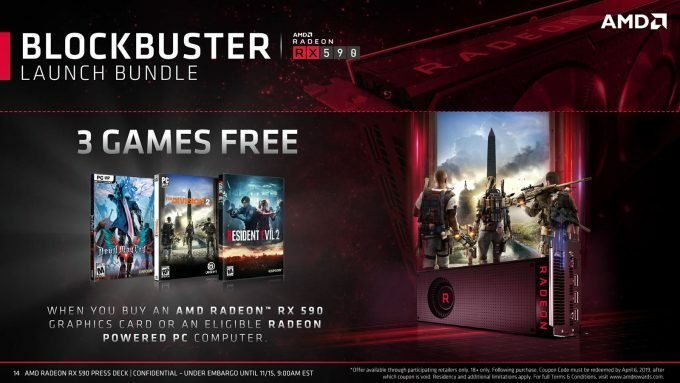 Still, more choice in the market is a great thing, and when AMD is offering a killer game bundle as it is… the launch becomes quite alluring.